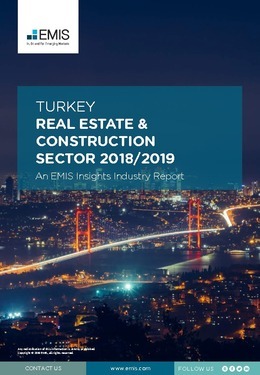 Turkey’s construction sector has experienced rapid growth in recent years, driven by supportive government policy. The state has launched a series of large infrastructure projects and development programmes that have helped the industry become one of the main drivers of the country’s economic growth. In 2017, the construction sector expanded by 8.9% y/y in real terms and helped the economy withstand a series of external shocks, including an attempted military coup in July 2016. With the introduction of stimulus measures after the putsch, Turkish GDP growth accelerated to 7.4% in 2017, ranking the country among the fastest growing economies in the world. This report provides a complete and detailed analysis of the construction and real estate sector for [country name]. EMIS Insights presents in-depth business intelligence in a standard format across countries and regions, providing a balanced mix between analysis and data.